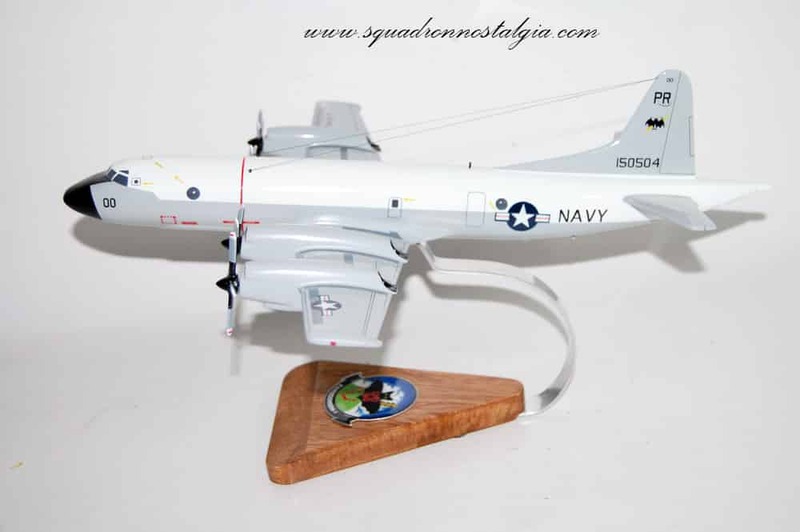 A 18 inch wooden P-3 Orion of the VQ-1 World Watchers meticulously carved and painted to provide a piece of art you can proudly display! 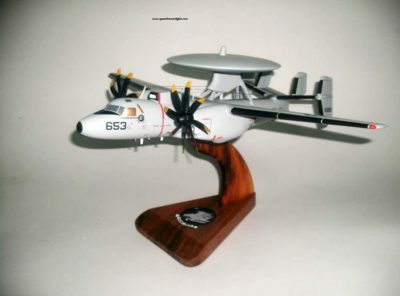 The lineage of VQ-1’s “World Watchers” can be traced back to two PBY-5A Catalina “Black Cats” modified for electronic reconnaissance during World War II. The unit formally established as the Special Electronic Search Project at NAS Sangley Point, in October 1951. 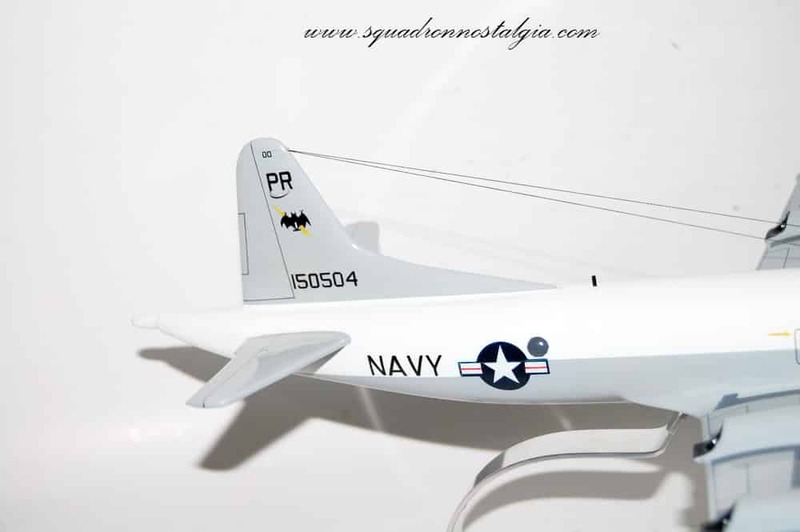 By 13 May 1953, when it was redesignated Detachment Able of Airborne Early Warning Squadron One (VW-1), the unit operated four P4M-1Q Mercator. When Detachment Able was reorganized into Electronic Countermeasures Squadron One (VQ-1) at Iwakuni, Japan on 1 June 1955, it was the first squadron dedicated to electronic warfare. 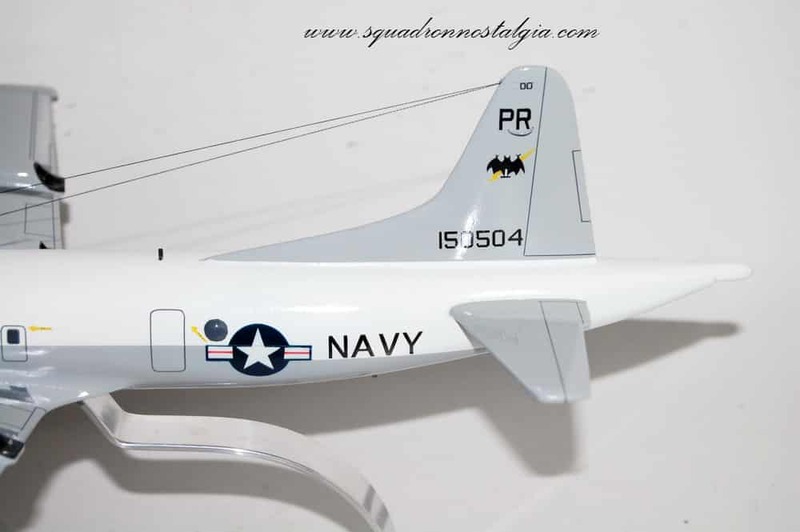 The EA-3 Skywarrior served the squadron for the next three decades. 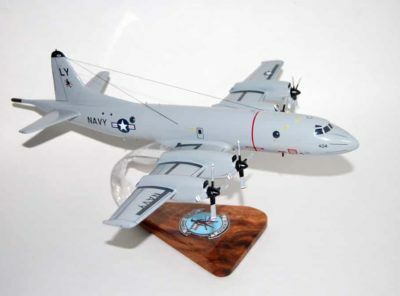 In 1960, not only was VQ-1 moved to Atsugi, Japan, and redesignated Fleet Air Reconnaissance Squadron ONE, but the last Mercator was retired and replaced by the first of many WV-2Q Super Constellations (also known as “Willie Victor”). They would remain the backbone of VQ-1’s long-range, land-based reconnaissance efforts through the Vietnam War. 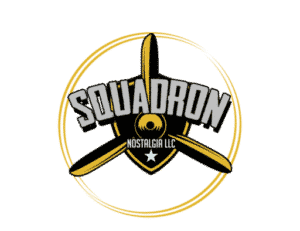 The squadron’s involvement in the Vietnam War started characteristically, at the very beginning when a Skywarrior crew was awarded the Navy Unit Commendation for their role in the Gulf of Tonkin incident of 2–5 August 1964. For the next nine years, VQ-1 would operate from Da Nang, NAS Cubi Point, Bangkok, and aircraft carriers on patrol in Yankee Station and other bases in Southeast Asia. VQ-1’s aircrews supported countless air strikes and are credited with assisting in the destruction of numerous Mig aircraft and Komar patrol boats. 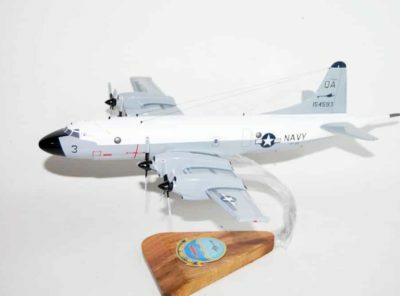 15 April 1969, an EC-121M Warning Star of VQ-1 on a reconnaissance mission was shot down by North Korean MiG-21 aircraft over the Sea of Japan. All 31 Americans (30 sailors and 1 marine) on board were killed, which constitutes the largest single loss of U.S. aircrew during the Cold War era. 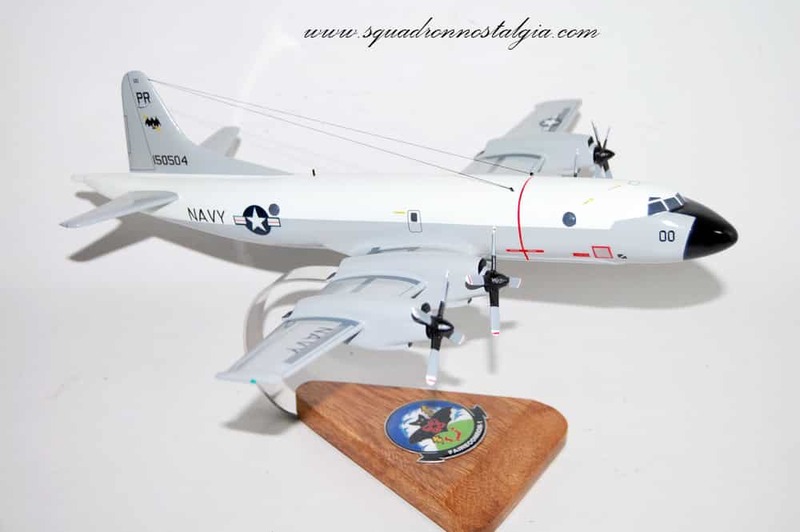 The first EP-3 Aries I joined the squadron in 1969, beginning the replacement program for the Super Constellations. On 16 March 1970, a Super Constellation crashed while landing at Da Nang, with five crewmen was on an overwater navigational training flight from Guam to the Philippines. Unable to locate land, the crew was forced to bailout at the fuel exhaustion point. The entire crew was picked up by a helicopter from the Japanese destroyer Haruna. In 1971, the VQ-1 moved its homeport to NAS Agana. At that time it absorbed Heavy Photographic Squadron 61 (VAP-61) and its former parent unit, VW-1. At the end of U.S. combat operations in Vietnam in 1973 VQ-1 began a move back to providing open ocean tactical electronic support to Seventh Fleet carrier battle groups. CDR John T. Mitchell assumed command of VQ-1 in March 1984. Ten months later, on 23 January 1985, he and eight other VQ-1 personnel were killed when the squadron VIP aircraft was lost at sea en route to Guam from Atsugi. 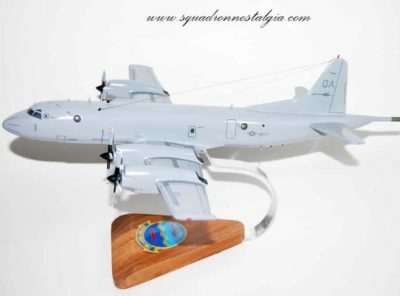 A massive air and sea search and rescue effort failed to locate any trace of the VA-3B or its crew and passengers. They were presumed killed or lost at sea. 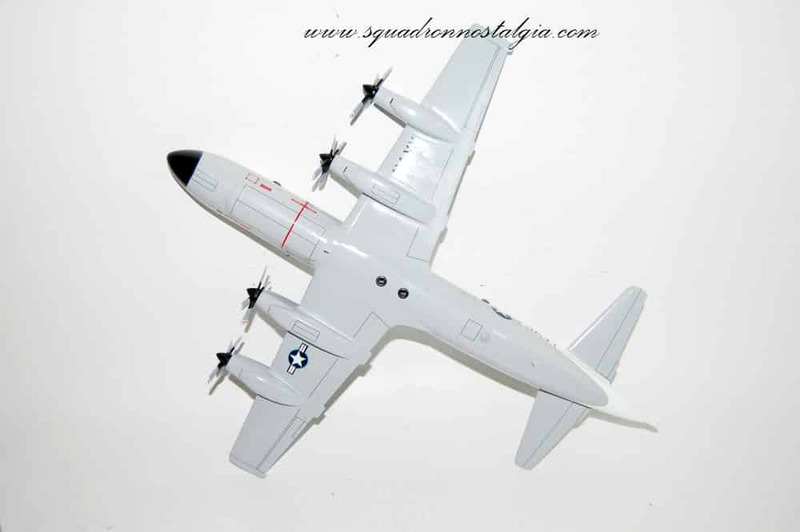 After the departure of the last Skywarrior in the late 1980s, the squadron flew the EP-3 Aries I exclusively. 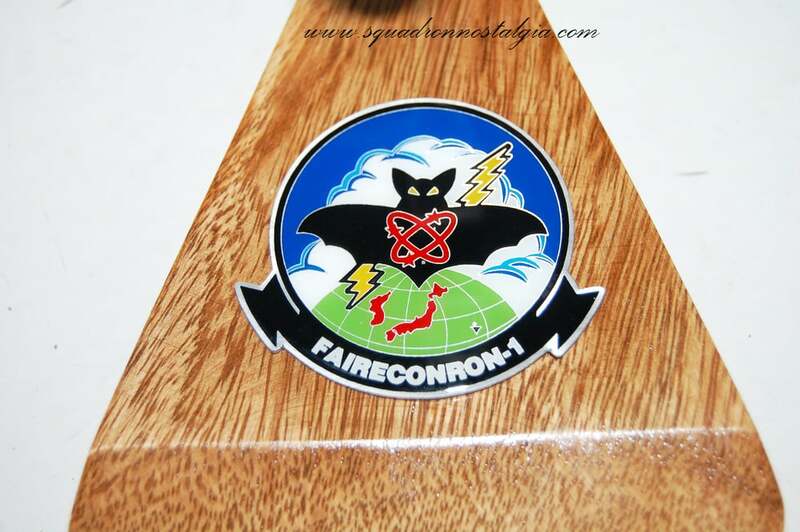 In 1991 the squadron closed its permanent detachment in Atsugi, Japan after 30 years and moved it to Misawa, Japan. In the same year, VQ-1 received the first EP-3E Aries II, an upgraded version of the Aries I using modified P-3C airframes. 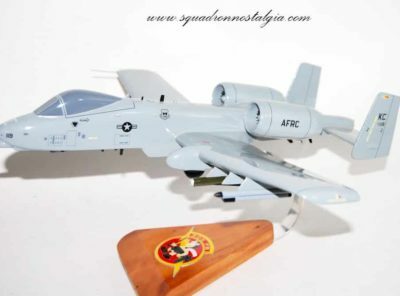 The squadron played a key role in Operations Desert Shield and Desert Storm. In 1994, as a result of the base closure of NAS Agana, VQ-1, the homeport change to NAS Whidbey Island. 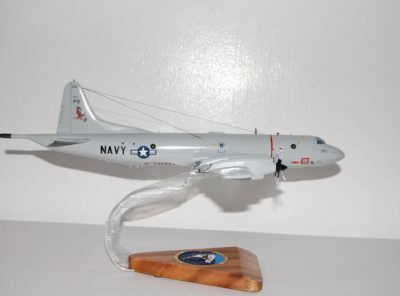 In July 1994, VQ-1 retired the Navy’s oldest operational P-3, EP-3E Aries I. Its retirement also marked VQ-1’s transition to all EP-3E Aries II mission aircraft. An EP-3E Aries II of VQ-1 in flight in 2006. 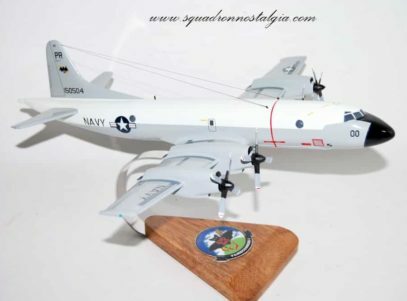 On April 1, 2001, an incident occurred when a mid-air collision between an EP-3E of VQ-1 and a People’s Liberation Army Navy J-8II fighter jet resulted in an international dispute between the United States of America and the People’s Republic of China. The accident happened after one of the J-8s, piloted by Lieutenant Commander Wang Wei made two close passes to the EP-3. On the third pass, it collided with the EP-3. The J-8 broke into two pieces. 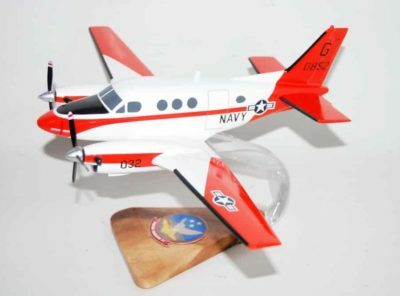 The EP-3 made an unauthorized emergency landing at Lingshui airfield, due to severe damage, after at least 15 distress signals had gone unanswered. For 15 minutes after landing, the EP-3 crew continued to destroy sensitive items and data on board the aircraft, as per Department of Defense protocol. They disembarked from the aircraft after soldiers looked through windows, pointed guns, and shouted through bullhorns. The crew of the EP-3 was released on April 11, 2001, and returned to their base at Whidbey Island via Honolulu, Hawaii, where they were subject to two days of intense debriefings, followed by a heroes’ welcome. Within in a month of the September 11 attacks the squadron was flying missions over Afghanistan as part of Operation Enduring Freedom. In 2002, VQ-1 maintained a permanent detachment in Misawa, Japan, in addition to its home base at Whidbey and its presence in the Persian Gulf. Its area of responsibility reaches from the east coast of Africa to the west coast of the United States, roughly two-thirds of the world’s surface.